Barbara Courtney specializes in working with technology clients to identify and protect key innovations and from those innovations, create value. Her practice encompasses all aspects of intellectual property law including initial development of patent portfolios, expert assistance to patent litigation teams, preparation of opinions of counsel, and portfolio due diligence in support of Initial Public Offerings (IPOs) and mergers/acquisitions. A goal of the firm is to provide close, expert support to companies in a cost-effective manner. Each company is different, not just in the kind of product or service it develops, but in its structure, resources and objectives. Barbara strives to bring creative alternative approaches to IP portfolio development and management as a member of the company team. Barbara began her career as an electrical engineer at Xilinx, Inc. providing her with an in-depth understanding of both the development of patentable IP and the unique business requirements of technology companies. Prior to cofounding her first firm in 2002, Barbara practiced at various Silicon Valley law firms, including Wilson Sonsini Goodrich & Rosati and Blakely Sokoloff Taylor & Zafman. She holds a BSEE from San Jose State University and a JD from Santa Clara University. 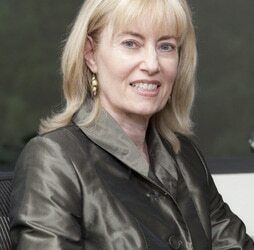 Beyond her affiliation with Martensen IP, Barbara is the founder of Courtney IP Law in Silicon Valley.